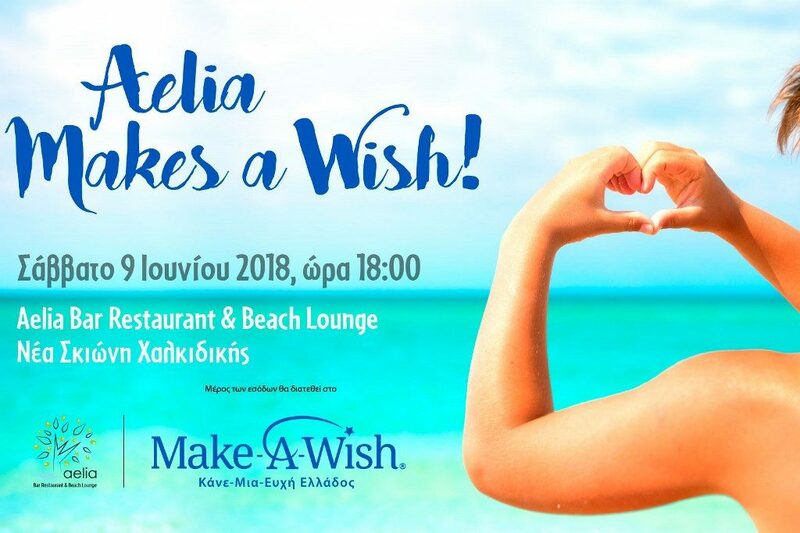 The hotel management company Ermia Hotels & Resorts, in cooperation with the NGO “Make a Wish Greece”, will hold a charity event at the Aelia Bar Restaurant & Beach Lounge, located in Nea Skioni, Halkidiki, on June 9 at 6pm. “Μake-A-Wish” grants the wishes of children with life-threatening medical conditions, in order to enrich the human experience with hope, strength and joy. “Our aim at Ermia Hotels & Resorts family is to create memorable moments of happiness and positivity, believing that if we all join together, we can change the world. We can begin by changing, firstly, a little child’s life, making it better,” Ermia Hotels & Resorts, CEO, Konstantina Papounidou, said in an announcement. Part of the proceeds gathered from the event will be donated to NGO “Make a Wish Greece” to fulfill little Despoina’s wish, making her life more beautiful.